All of us go through our day with or without following an actual sample schedule. However, the better prepared we are in facing the day and knowing what to do, the more tasks will be done or accomplished. A schedule then is the proper tool in having more things done and in being more efficient in the spending of our time and focus. 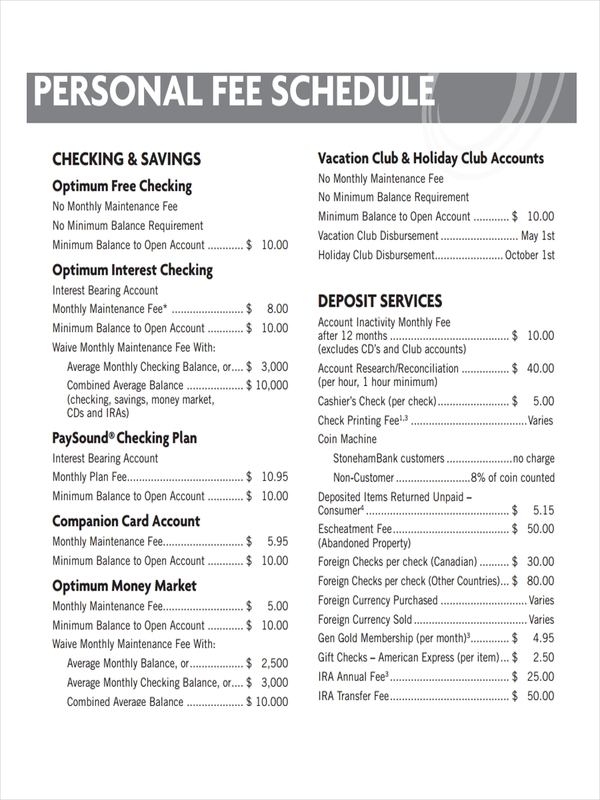 Schedule examples are shown in the page for added information regarding fee schedules. Download any of them for free and to aid in making and using your own schedule. 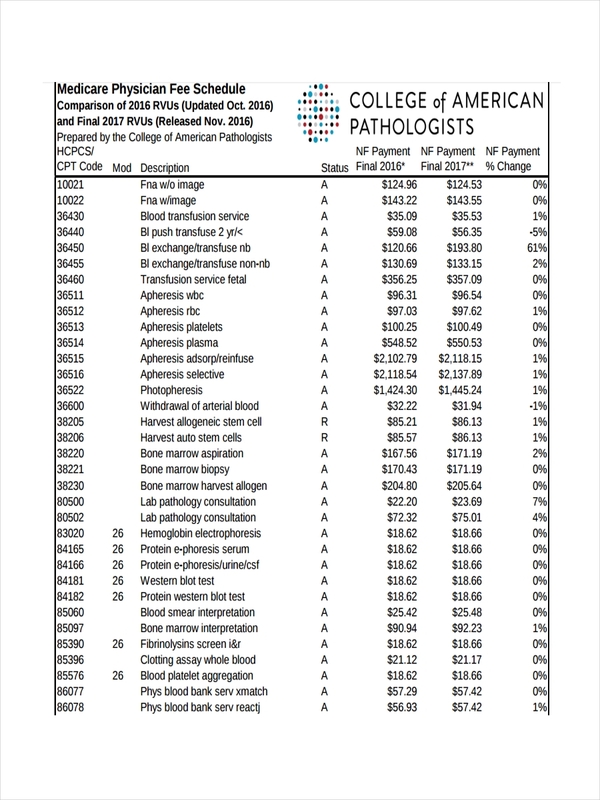 A fee schedule is defined as a complete list of fees used by professional service providers such as doctors, lawyers, and others in order to get paid or demand payment. Any ongoing task repeated on a regular basis at set intervals will benefit from having a schedule. 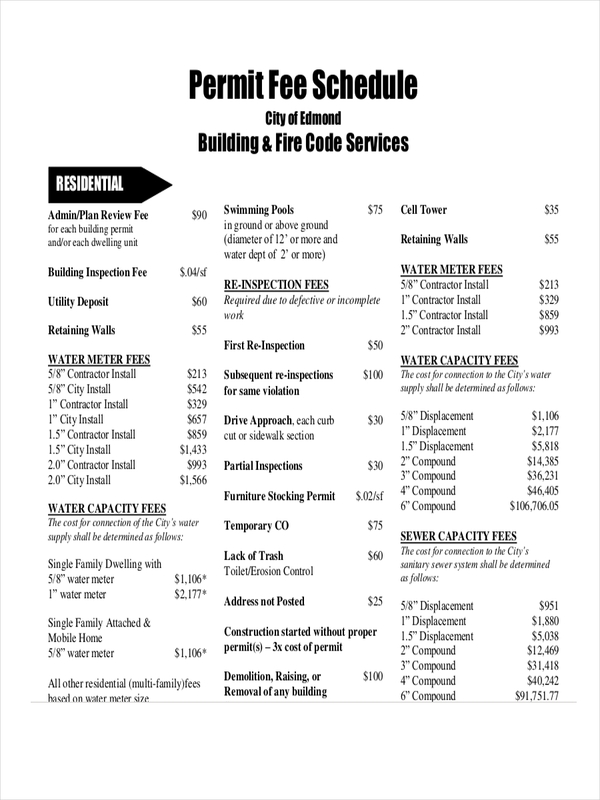 For example, a maintenance schedule for routine inspection and upkeep. Service providers who expect routine payments for a set of offers can use a fee schedule to ease up the transaction. Carefully account for the costs involved in doing the service provided. Breaking down the cost and your individual plan margin into units of work which define your services and visits greatly helps in validating how much is really spent and the margin you make for a particular service. Basing your price charging on costs plus your margin ensures you staying in business for a reasonably long time. 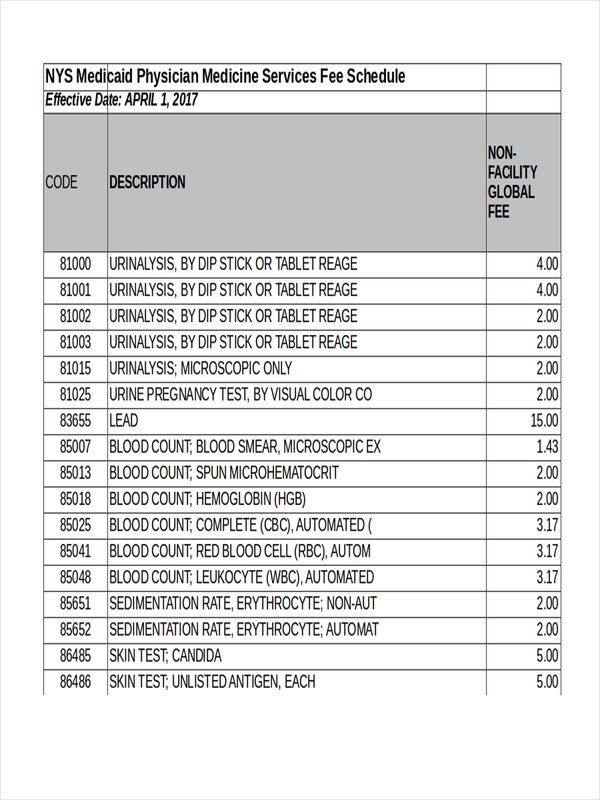 A fee schedule describes how much and the frequency of the payments that have to be made to a provider or office for services or any product or equipment. 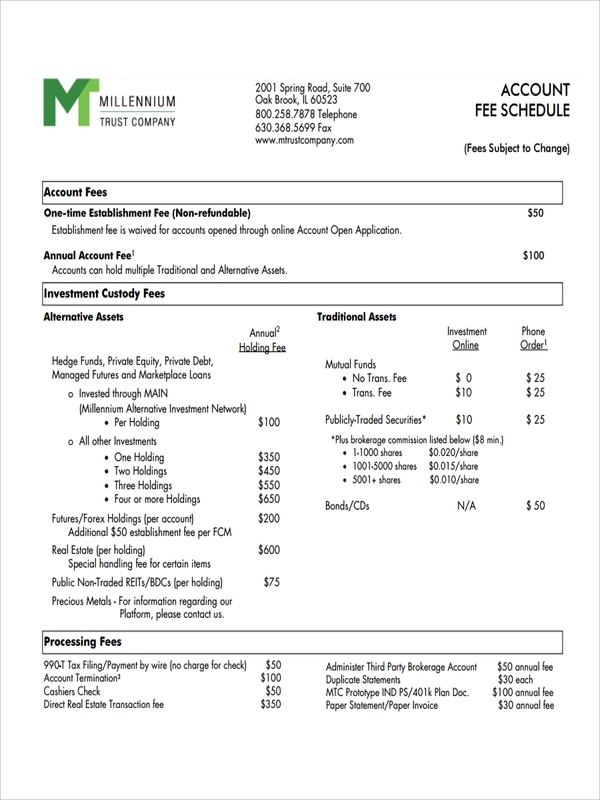 A fee schedule ensures the proper posting and payment of said fees. Schedule examples in excel and master schedule examples can further explain how a fee schedule looks like. Audit review. No business or service provider wants this. Claim delays. Improperly made fee schedules most often result to delays in claims. Less payment of actual cost of service. Without a proper fee schedule for reference, payment for a service may actually be lesser as perhaps margin was not accounted for. 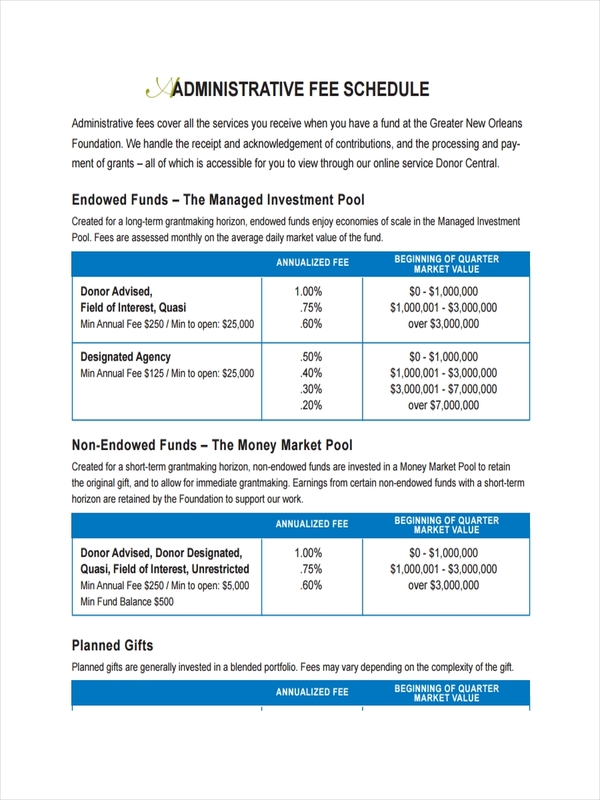 Loss of clients from over priced fees. Reversely, one may lose clients due to over priced service or product. Increased liability in case of an audit. 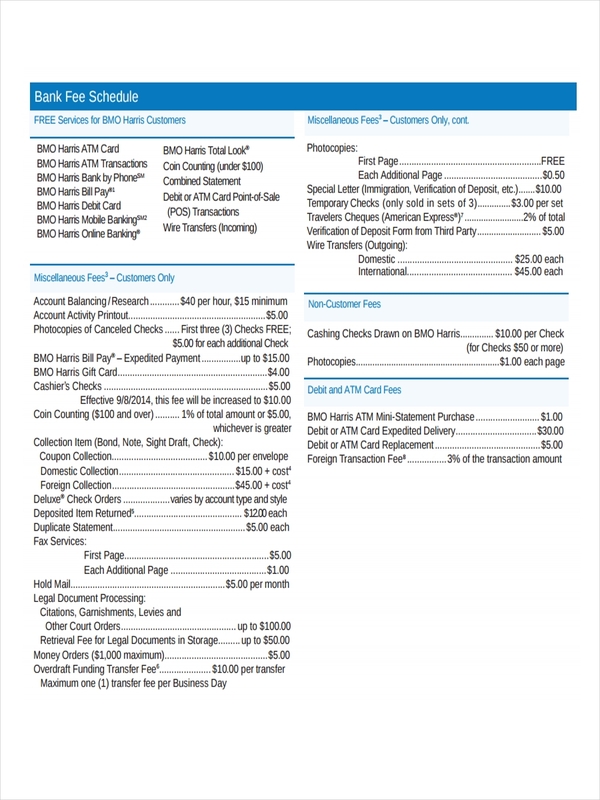 These sample blank schedules all over the page serve as guide in making your own fee schedule. 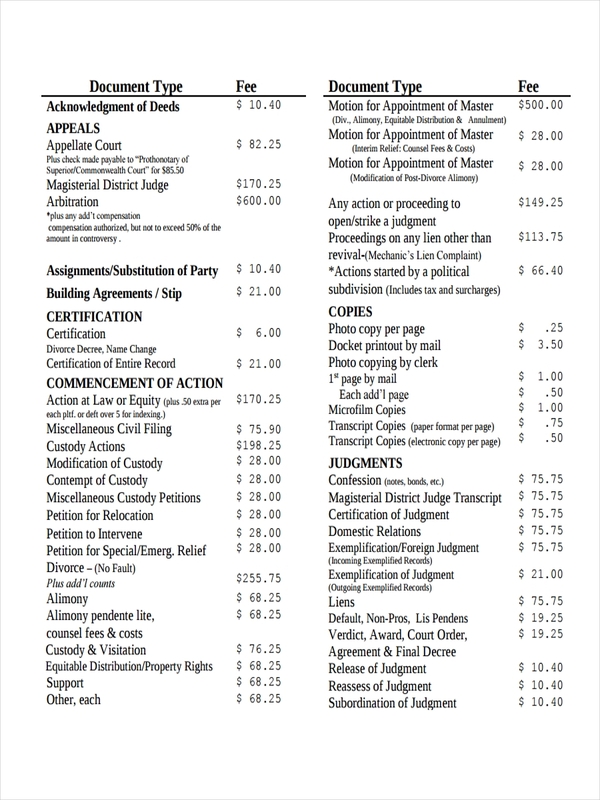 Feel free to download any of the files to use as basis for your fee schedule.